Ronaldinho tweeted support for a polarizing far-right politician Jair Bolsonaro leading the race to be his country's next president in elections on Sunday. 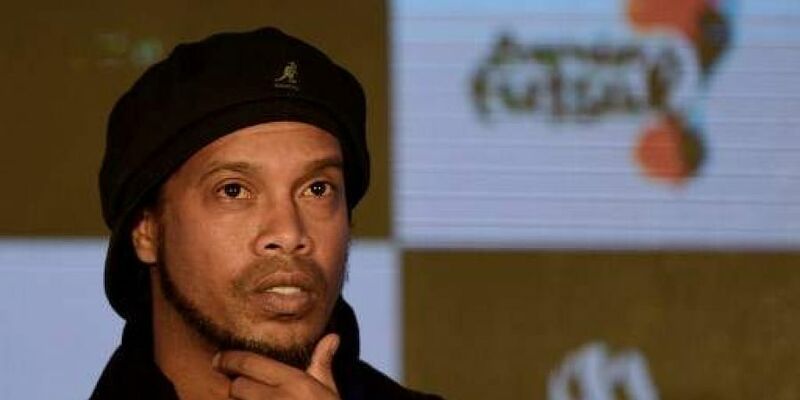 RIO DE JANEIRO: Brazilian former football star Ronaldinho tweeted support for a polarizing far-right politician leading the race to be his country's next president in elections on Sunday. "For a better Brazil, I want peace, security and someone who brings back joy," the 38-year-old wrote to his 18 million Twitter followers Saturday above a photo of him wearing a yellow football jersey with the number 17 -- corresponding to the electronic ballot number for the candidate, Jair Bolsonaro. "Thanks a lot Ronaldinho, it's an honor," Bolsonaro tweeted back. More than 10,000 comments followed the footballer's tweet, some of them congratulating his support and others criticizing it. "I never thought my idol could disappoint me this much," one fan said in reaction. Bolsonaro, a 63-year-old former paratrooper and longterm member of Brazil's congress, surged from relative obscurity to become the frontrunner in Sunday's first round presidential election. His tough law-and-order rhetoric and promise to clean up corruption and boost Brazil's struggling economy have won him backing from much of the country's wealthier classes. But poorer Brazilians, and women, fiercely oppose him. He has stirred anger by demeaning women, making homophobic comments and speaking nostalgically of the 1964-1985 military dictatorship. Although polling comfortably ahead in Sunday's first round, Bolsonaro's chances of victory in a likely October 28 run-off election were uncertain. Surveys suggested he would face off against Fernando Haddad, a former mayor of Sao Paulo who is the Workers' Party pick after its popular figure, former president Luiz Inacio Lula da Silva, in jail for corruption, was disqualified from making a comeback.